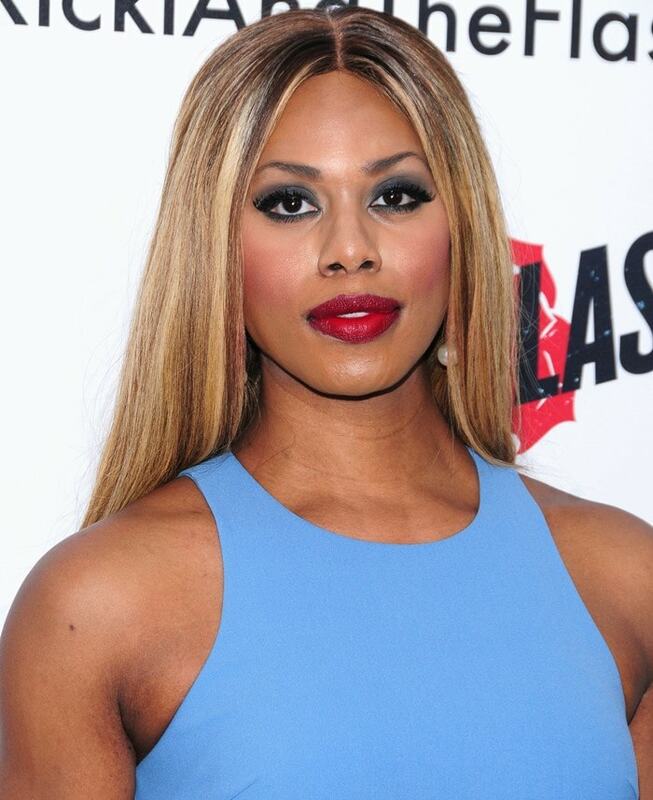 Laverne Cox dazzled on the red carpet in a sheer embroidered Zhivago dress at the Entertainment Weekly’s Pre-SAG Awards Party at the Chateau Marmont in Los Angeles. 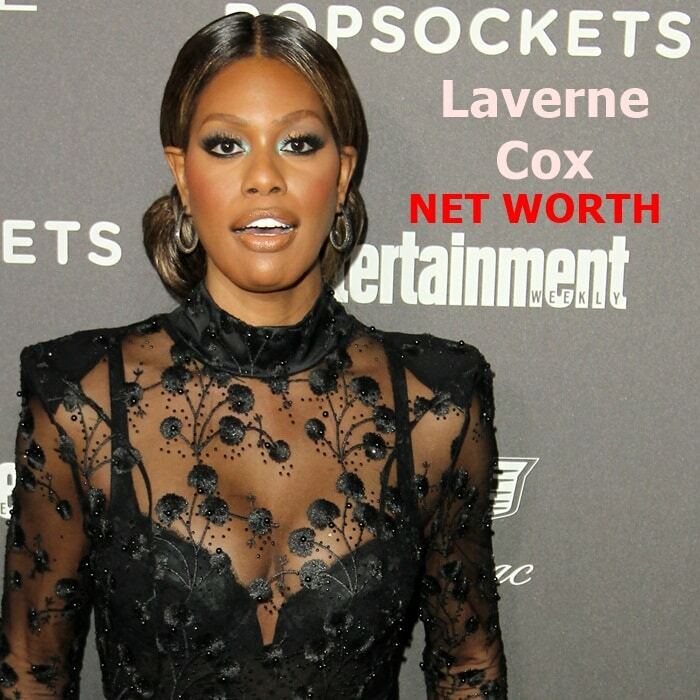 While it’s not known how much she makes per episode of the Netflix series Orange Is the New Black, her estimated net worth is $2 million. She styled her revealing dress with custom Jordan heels by Ruthie Davis. The following day, the 46-year-old actress hit the red carpet in a red slinky Zac Posen Resort 2019 dress at the award ceremony at the Shrine Auditorium in Los Angeles. She completed her stunning ensemble with Yvan Tufenkjian jewelry and Kenneth Cole shoes. Her look was styled by Christina Joy Pacelli. 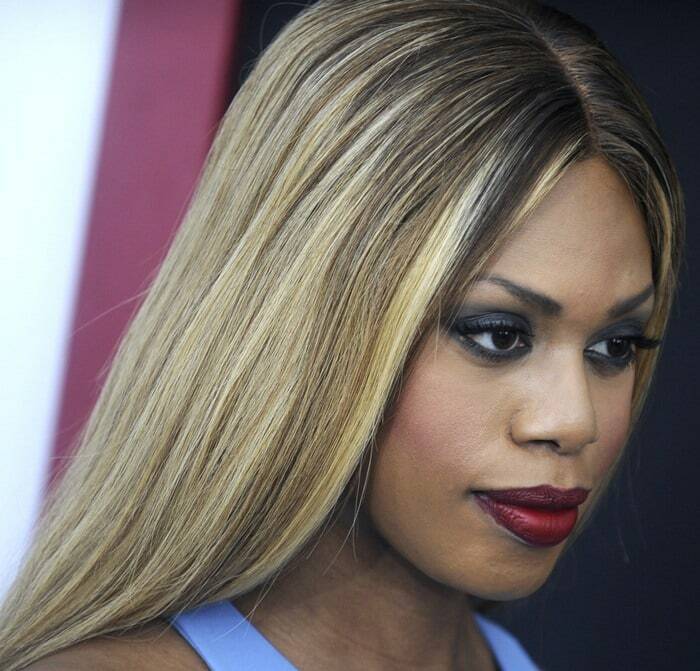 The transgender Orange Is The New Black star started the new year by attending the InStyle & Warner Bros. Party held after the 2019 Golden Globe Awards at the Beverly Hilton Hotel in Beverly Hills, California. She wore a Hamel dress, Emm Kuo clutch, Butani earrings, Kenneth Cole shoes and bracelets, and rings by Mattia Cielo, DJula Jewelry, Marli and Vhernier. In September 2018, Laverne flaunted her legs at the 2018 Television Industry Advocacy Awards hosted by the Creative Coalition at the Sofitel Los Angeles At Beverly Hills in Los Angeles. The American actress and LGBT advocate showed off her enormous feet in metallic ankle-strap sandals. 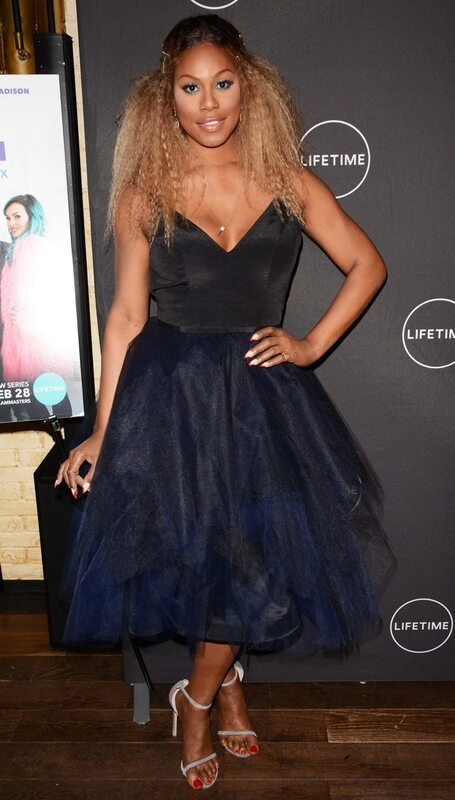 Laverne also flashed her big feet in a Nha Khanh dress on the red carpet at the premiere of Glam Masters at Dirty French in New York City. She styled her dress with Stuart Weitzman shoes, Alexis Bittar earrings, and an Irini Design necklace and ring. In August 2015, Laverne Cox joined Meryl Streep and Rick Springfield at the premiere of Ricki And The Flash held at the AMC Lincoln Square Theater in New York City. The 31-year-old American actress, reality television star, television producer, and LGBT advocate donned an “Arron” mini dress from Elizabeth and James featuring a double-layered skirt and an asymmetrical hem. She styled the mineral blue frock with a pair of studded white Christian Louboutin pumps. Do you think it was a good idea to wear stockings with her luxurious red bottom shoes? 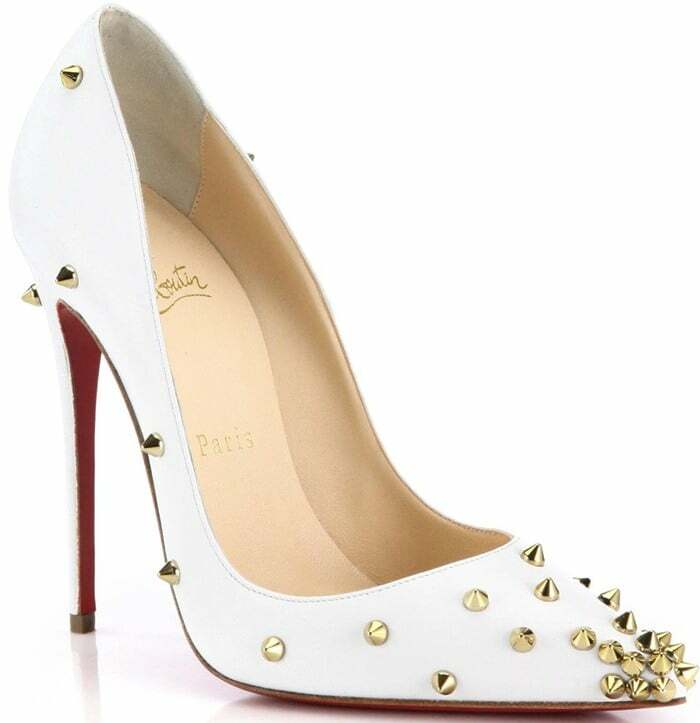 The spike-saturated Christian Louboutin “Pigalle” pump has unfortunately sold out online. You can find a similar pair of smooth leather shoes at Nordstrom featuring goldtone spikes in a dégradé design.